One of Union Pacific's large fleet of AC4400CWs leads today's train of 112 empty Sheboygan coal cars south through Mequon, Wisconsin. 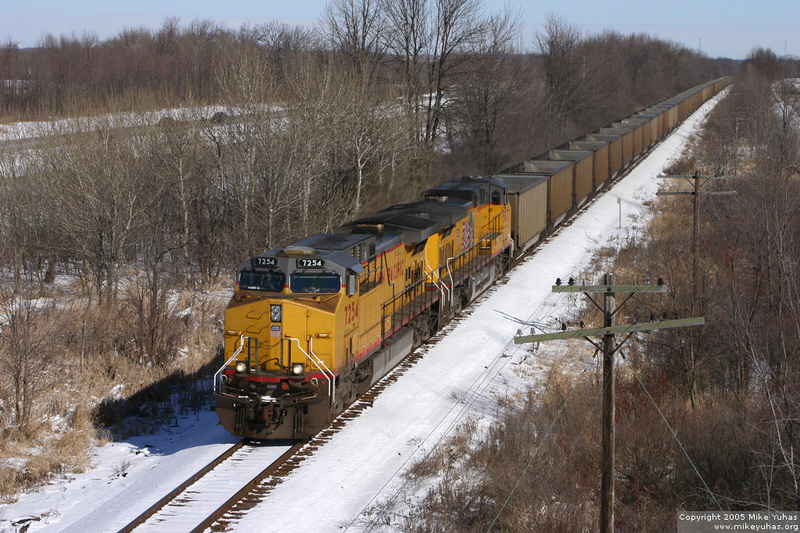 Sheboygan coal trains can run nearly daily during peak periods, at any hour. Seeing one in daylight is a fine treat.